Hedge fund manager Kenneth Griffin just bought the most expensive home in the U.S. He recently purchased a New York City penthouse for a staggering $238 million. If you’re a billionaire like Griffin, you might think the housing market seems fine. What’s a mere $238 million? For many Americans, however, houses have gotten way too expensive. And they’re struggling. The median existing-home price is now up to $253,600. That’s 2.9% higher than a year ago, when housing prices were already sky-high. 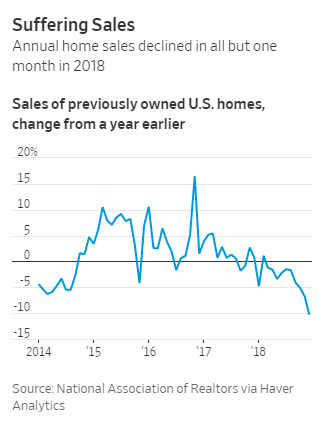 It’s a big reason home sales have fallen to their worst level in three years. According to the National Association of Realtors, existing-home sales dropped to 4.99 million in December. That’s a 6.4% decrease from November. Some parts of the country struggled particularly hard. Sales in the Midwest tanked 11.2% in one month. Sales in the West plummeted 15% in the past year. Unfortunately, this isn’t a surprise. Last year, I wrote about the rising cost of housing. Prices have climbed for 82 consecutive months. Now, owning a home has gotten too expensive for many Americans. 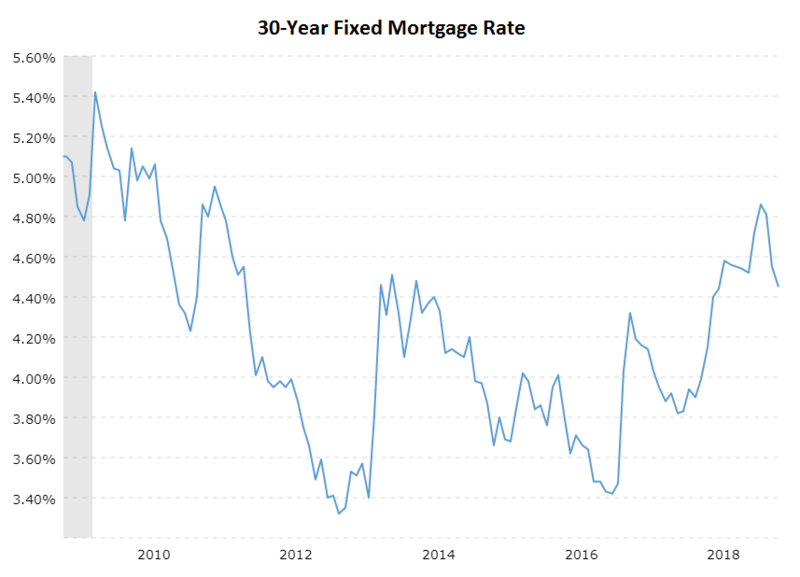 Potential homeowners also face another problem: rising mortgage rates. The Federal Reserve raised the fed funds rates three times in 2017 and four times in 2018. That helped push mortgage rates to their highest level in seven years. Fed funds increases make monthly mortgage payments even more expensive. But they also slow economic growth in general. 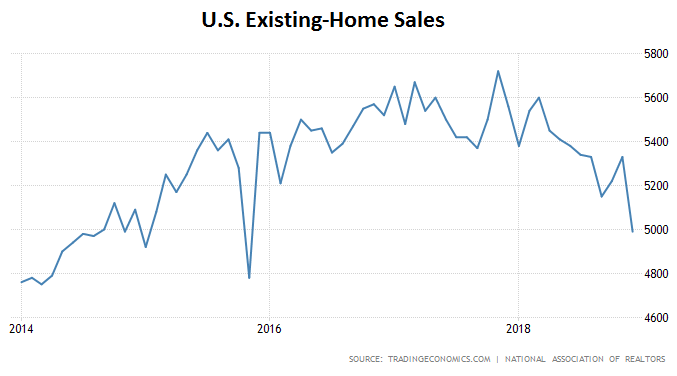 “Right now, home sales are the smoking gun that the Fed’s rate hikes are starting to bite and slow the broader economy down,” says Chris Rupkey, chief financial economist at Mitsubishi UFJ Financial Group. On top of that, the stock market’s struggles, trade war concerns and the government shutdown have created uncertainty everywhere. Homebuyers may be waiting until they have a better idea of where the economy’s headed. Finally, there are tons of expensive homes (like billionaire Kenneth Griffin’s penthouse) on the market. But there aren’t enough affordable starter homes for millennials and other first-time homebuyers. “There is still a lack of adequate inventory on the lower-priced points and too many in upper-priced points,” says Lawrence Yun, chief economist at the National Association of Realtors. So, all in all, 2018 was a rough year for the housing market. November showed signs of a comeback. But December’s worse-than-expected numbers give me little optimism. Yes, there are some reasons to be hopeful. Spring is the prime season for house shopping. Strong spring sales would help make up for the disappointing December. And an end to the government shutdown, or positive news about the stock market or the trade war, would help boost homebuyers’ confidence. But if spring’s numbers are underwhelming, it will confirm that the housing boom is on its last leg. And that a recession is in the works. If that happens, we want investors to find the right ways to protect themselves. So keep tuning back into the Sovereign Investor Daily in the coming weeks and months. Our experts spend countless hours researching the best investments out there, and they’ll be bringing them to you each and every day. Home in on the Millennial Housing Boom — Now!